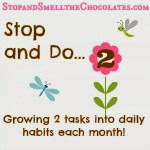 Stop and Smell the Chocolates: Break Even or Blog Less? Break Even or Blog Less? Today, dear readers, I am looking for your ideas, thoughts, and insights. I have come to a sort of "crossroads" with my blog. I need to find a way to make a few dollars from or through blogging (or maybe Etsy) in order to reimburse my time and expenses ~or~ I need to cut back some on the blogging. 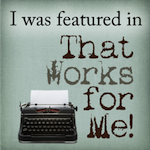 I work hard on my blog (as I know you do too!). I take time to think about and plan (most of the time) my posts and it takes me a while to write them out and edit as necessary. My theme weeks take a lot of planning ahead to make recipes and take photos so I can keep them pretty and fun. Since I usually post at least one recipe a week, that requires a lot of baking and cooking and several photos to get the "right shot." And there's the usual bloggy maintenance and promotion, of course. I also spend my own money on some of the giveaways (like the Fall Fruits Festival) and the shipping. Though my blog is a hobby that I really enjoy, I do feel (and hubs heartily agrees) that I have come to a point where I need to be reimbursed for some of my time and expenses (giveaways) in order to justify continuing at the same pace. Now I am not looking to get rich here - LOL!! If I could figure out a way to make even $50 a month, that would do it and I would be delighted! If I can't do that, I may have to cut out a couple days a week so that blogging truly stays in the "hobby" category rather than slipping into the "job" category. Offer inexpensive ad packages (including button display, blog post, and twitter promotion) to companies that I personally feel good about. Join an ad network or networks. Do paid admin work or get paid to write posts/columns for another blog or site. Start an Etsy shop selling some of my homemade goodies. What do you think? Any thoughts on any of those ideas? I would love your input and any other ideas you might have! Have any of you come to this point before on your blogs? What did you do? Hmmm...that was kind of a serious post. I think you should be rewarded with chocolate! Stop by tomorrow for Chocolate Friday and I'll share my latest Nutella Challenge recipe creation! Link up your chocolate posts too so there's plenty of chocolate to go around! Thanks for putting up with my post today and I look forward to your feedback! Hugs to all! I'm linking this up to Your Life, Your Blog at Real Life - link up your own post and get a chance to catch up with everybody else! Okay since you asked I'll tell you. When blogging starts to become more of a job then fun it's time to reevaluate and it looks like that's what you are doing. You need to bring back the fun. Keep what you are doing but without the giveaways. Stop the chocolate Friday's for awhile to give yourself a break and refresh. Trust me my friend I don't come here for the giveaways or Chocolate Friday. I come here because you're my bestest blogging buddy and I like the posts about YOU and what YOU are doing and where YOU have been. Do what you have to do to make blogging fun again. We'll still be here! Big you gotta keep it real or it's not fun size hugs to you! It is VERY evident you put a lot of time into your amazing blog. It is beautiful, well organized, and very interesting! But you know one of my favorite posts you ever did? It may have been back in the summer, when you just wrote....the post when you just randomly "unloaded." ...what was on your mind.... I got to see who you really are and your insight and writing was amazing. I think it was right before your dad's visit. Maybe a few of those posts every so often would take some of the pressure off. Just go with what is on your mind that day. ...just an idea. I really have no idea how to find balance. Blogging is time consuming, and I have over the last year found myself much more sporatic than the first. I've lost a lot of followers by doing so. But that's okay too. Oh, and as for the give-aways. I don't mean this to sound ugly, but every time I ever do one, which isn't often, I get commenters out of the woodworks!!! 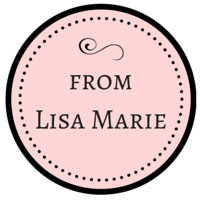 Ladies who NEVER comment on my blog before or after and they leave a comment to win a prize. Honestly, when I do a give-away, I do it to honor or share with my blogging buddies. It is so disappointing to draw a stranger's name for my prize, when I want one of my loyal friends to win. Does that happen with you? And maybe some don't have a problem with that. I've stopped give-aways for that very reason. Well you must keep blogging, because I can't live without my chocolate fix. :-) So we're going to have to find a way to make you some money! I love the Etsy idea. I would love to see what you come up with on there. Love ya, girl! I am feeling the same thing lately. I saw this great post at ProBloggers that I bookmarked for future reference. I think you should do baked goods on Etsy. Oh and did you know that on the Nutella website they have a sweepstakes each month from now through Aug 2010? I found it the other day while looking for pictures for one of my posts. I'd be more than happy if you dropped the giveaways. But that is because I am not even in the same hemisphere so don't bother even reading posts where it's about giveaways. I don't mind a few ads on a blog if it helps the blogger continue. Not a faithful commentor but I do read and subscribe in reader and wanted to say that I enjoy your blog a lot. I've been blogging for 7 months and found the same thing. I do host some reviews on my site of products that I can stand behind (and use for my littles) so it is sort of a compensation of sorts. I don't really have any other thoughts except that I agree with Jen above - don't worry about perfect edited photos - just share them like they are. Have you ever thought of selling a cookbook? Thank you all for your wonderful thoughts!! Hugs all around! Hey there, I'm new to your blog, and just wanted to say that I've been wondering @ the same sorts of things for mine. So although I have no advice to give, I hope you will fill us in as you make your decisions. In the meantime, I love what I have found here! My son and I are going to make the chocolate cinnamon bread today. I want to hear Sarah Mae's Tips too!! When I got to this point in my blogging, I joined an ad network to start. It's relatively unobtrusive, no maintenance or selling, and depending on your traffic (which I suspect is pretty high!) you could make enough to cover your time/expenses. Another thing is: stop buying your giveaways stuff! there are tons of companies who would love a little exposure! You just have to muster the courage to email them, and not worry if they say no! On the other hand, you have the readership to offer your own ad packages, and often times, you only have to have one or two advertisers to equal what you make in a network. I like the cookbook idea, and the ETSY. What would be fun for you?